Foote was the #3 Overall Pick in the 1970 MLB draft, selected by the Montreal Expos. 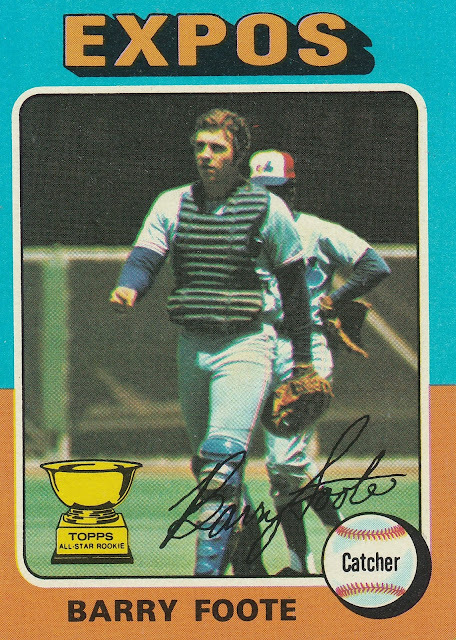 Foote made his debut 3 years later, and spent his rookie season as the primary catcher for the Expos. As a rookie, Foote led the National League in Sacrifice Flies, and in addition to a bit of power (11 Home Runs), he displayed a cannon for an arm. He threw out 42 would be base stealers, and was deemed by none other than Lou Brock as one of the toughest catchers to steal against. He was playing on borrowed time in Montreal however, as a new Kid in town would start to siphon away playing time from Foote. Future Hall of Famer Gary Carter would supplant Foote as the Expos' primary receiver by the end of 1976. He did manage to lead the NL in double plays by a catcher in both 1975 and 76. 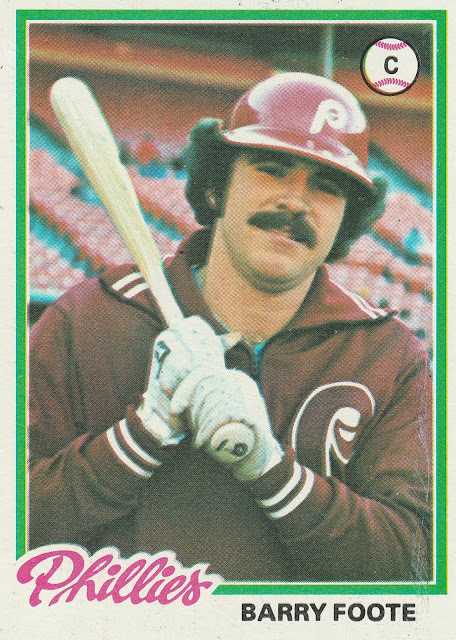 Foote was traded to Philadelphia in 1977, but he would see very little playing time for the Phils. He would catch in just 57 games and had just 16 hits. 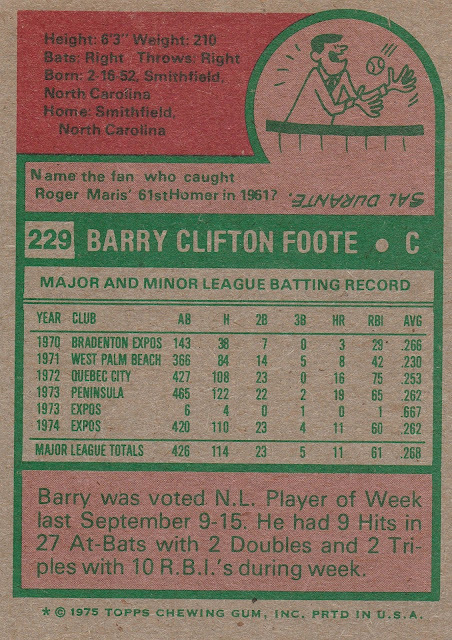 In 1979, Foote was given a greater opportunity, and again he showed his strong throwing arm and capable bat. 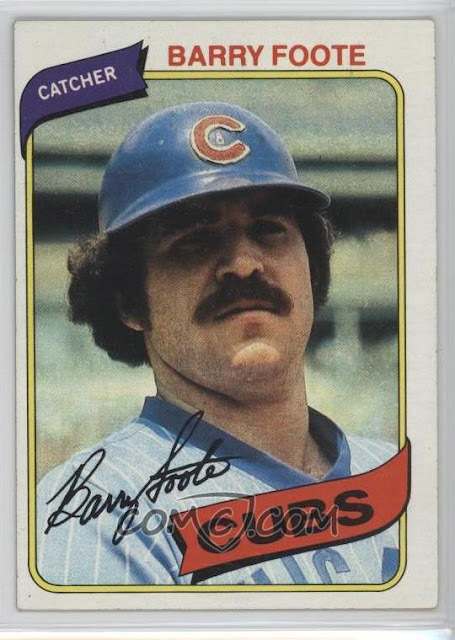 Now with the Cubs, Foote caught a career high 132 games and blasted a career high 16 home runs. The following season, his playing time was ceded to one of the only players with a more impressive moustache, Tim Blackwell. By 1981, Foote was moving on to New York. He was acquired to fill in for an injured Rick Cerone. By the time the player's strike ended, Cerone was healthy again, and Foote would have to wait. His final season in the majors found him sharing time with Cerone and Butch Wynegar. He signed a deal with the Yankees to become a scout, and also had a pair of championship seasons as a minor league manager. Foote would be a prime candidate for an All-Body Part team (along with Brad Hand, off the top of my head). 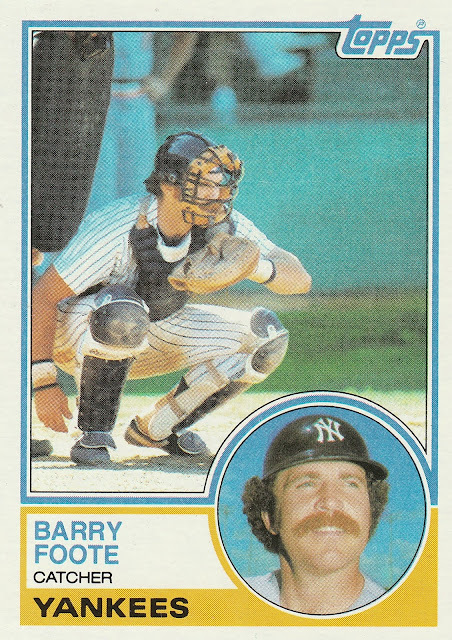 Chase Headley, Rollie Fingers, Rock shoulders! Ricky Bones, Dave Beard, Corey Hart.